Early Bird Registration ends on September 1st! For a look at a complete agenda please click. ​Taking our inspiration from Nathalie Miebach who collects data from nature and transforms it into visual art. Let's work together to use our knowledge of the world around us to generate new and exciting ways to engage our art students at every level. Deadline Extended until September 7th! Now accepting artwork for the 2018 Members Exhibition ! 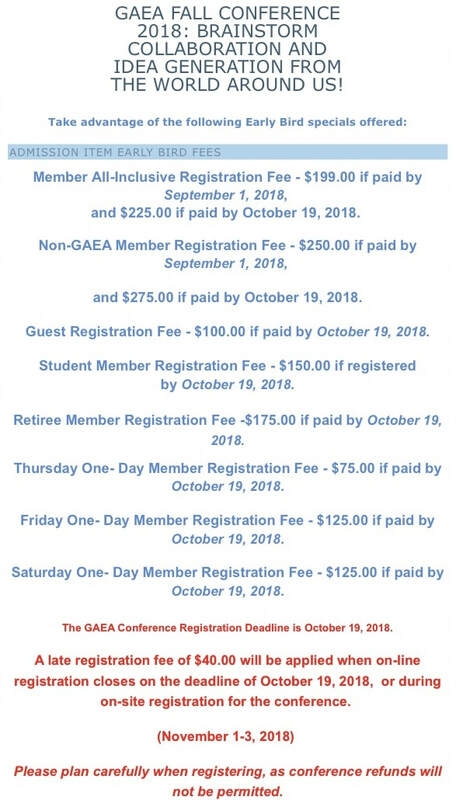 Become a GAEA/NAEA Member here! You must be member to enter the exhibit.